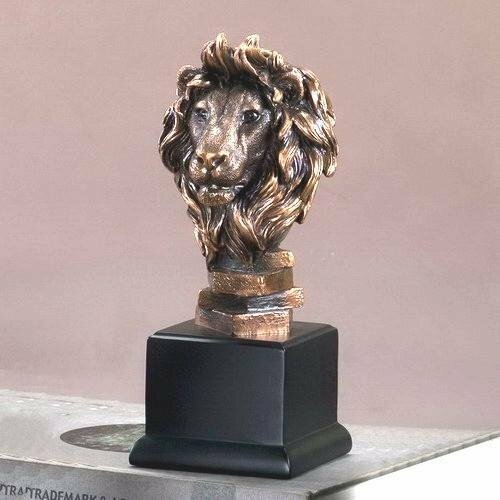 This handsome lion head features an electroplated bronzetone finish and sits upon a sturdy black base. Overall height is 10", base sides are 3.75" across. Price includes lettered plate with 3 lines of engraving up to 50 characters each line.